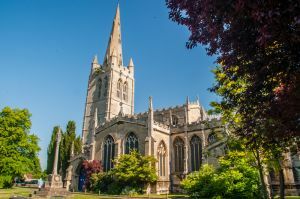 All Saints church is one of three historic buildings at the heart of the county town of Rutland (the others are Oakham School and Oakham Castle). 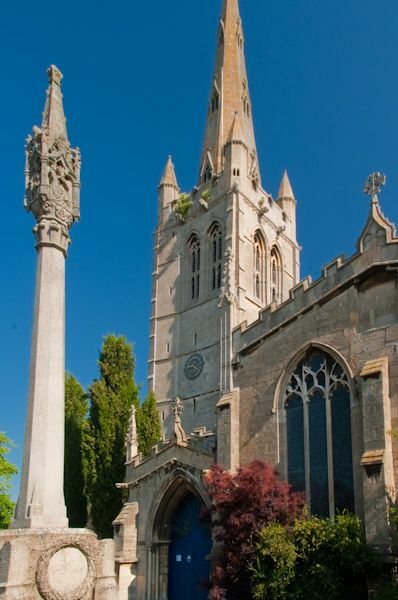 The first church on the site dates to around 1200, but the current building is mostly 13th and 14th century, in a mix of Decorated and Perpendicular styles. 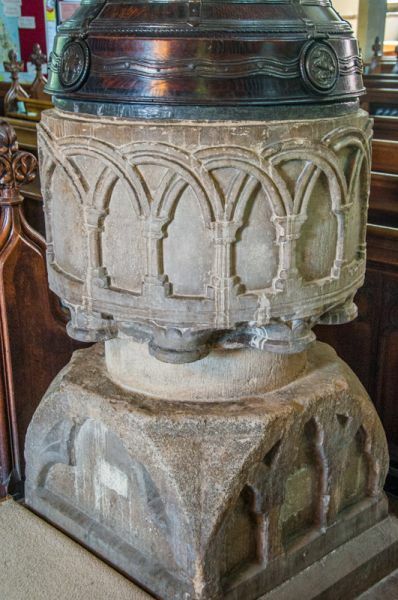 The font is probably the earliest feature; it dates to around 1180. 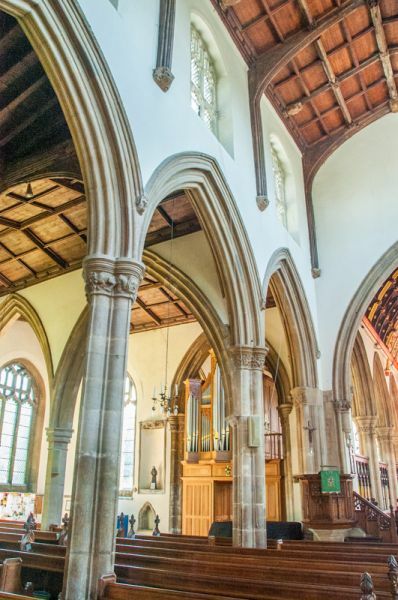 The main historical interest are the 14th-century carved capitals that adorn the nave columns. These depict a wonderful variety of animals, foliage, Biblical figures, humans, birds, and a finely carved Green Man with foliage emerging from his mouth. 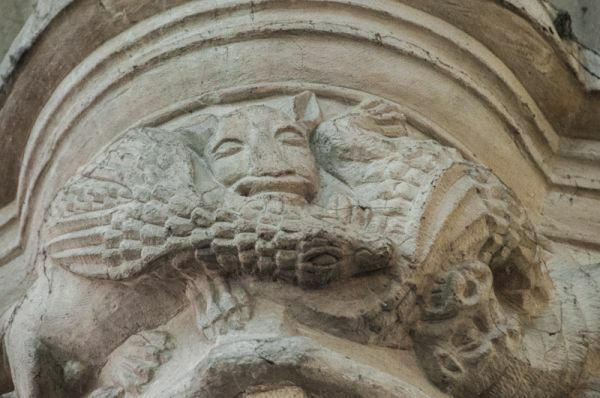 According to the church guide, the capitals on the north side of the nave represent paganism, and those on the south side represent the salvation of mankind through Christianity. 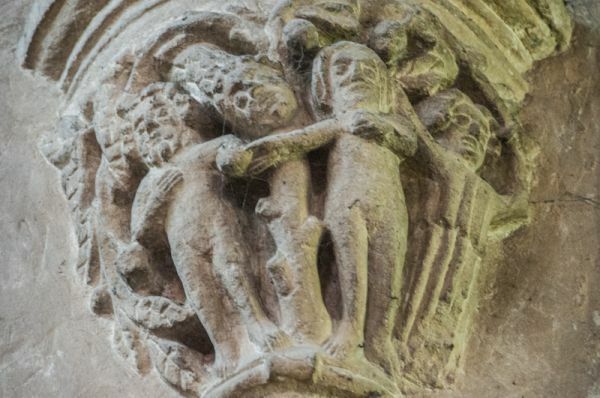 The quality of the carving is superb, and it is easy to pick out the figures. t the west end of the nave is the font, with a quite wonderful Saxon or early Norman bowl atop a modern central column. 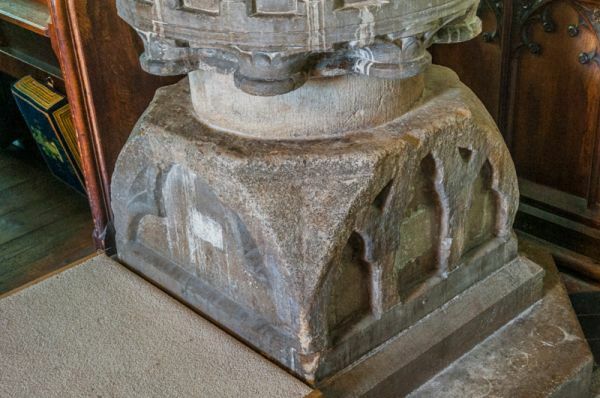 This sits atop a base that is likely part of a medieval market cross. 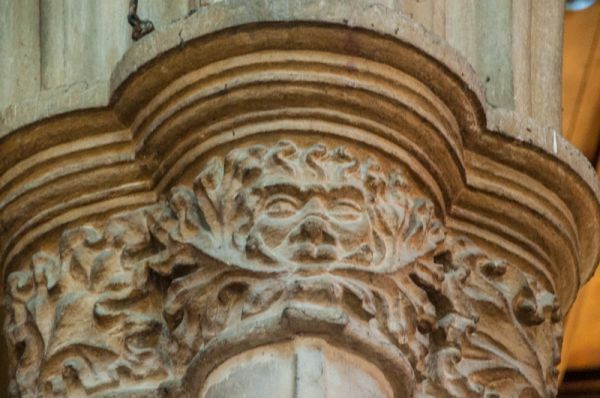 The carving consists of interlaced arcading. If you look carefully you can see that the stonecarver made a mistake with his pattern - all the arcades are symmetrical except one, which is considerably wider. Holy Trinity Chapel was likely built by money given by Westminster Abbey to commemorate Simon de Langham, Archbishop of Canterbury in the late 14th century. 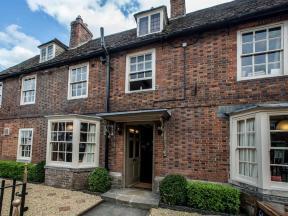 Location: Just north of Oakham High Street. Several paid parking lots within an easy stroll. Normally open.